Yoga can prepare the pregnant woman, mentally and physically, for the changes in her body and her life, but it can also be a route to deeper introspection and self discovery. Being pregnant for the first time was when I really found my yoga. I’d already been practising for several years and feeling the benefits physically, but the little miracle growing inside me opened up a stronger holistic connection. For a start, being pregnant, and later giving birth, strips back the layers of human conceit: you’re no longer the sum of your clothes, possessions, looks, career, friends, family, etc, but a part of creation, of the cycle of life. Your body takes over from mental processes, wordlessly and effortlessly getting on with its natural purpose. 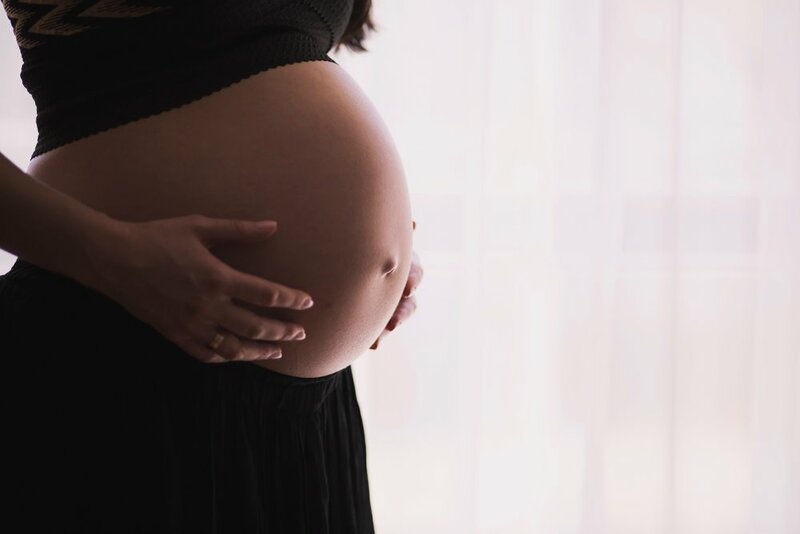 Just as we move into the here and now, and tune in to the subtleties of our bodies in our yoga practice, pregnancy brings you to this point of deep physical awareness. And just as the yogi, with a sense of ahimsa, loosens his or her grasp on the future or potential outcomes, freeing him or herself from expectation, being pregnant brings you firmly into the moment – your body is changing daily and your hormones bring emotional flux that you cannot anticipate, so you can only move into your present experience. When it comes to labour too, taking a more yogic approach is invaluable. Asana practice throughout your pregnancy and an active birth employing breathing techniques and relaxation undoubtedly help ease the experience. But the most profound thing I found was to view labour and the inevitable pain from a non-western viewpoint: if you approach thepain from the stance that it is an essential physical and emotional journey that you can only evaluate at the time of experience, rather than trying to anticipate it, avoid or suppress it, the moving in and letting go inherent in yoga practice comes into full force.